R.J. Rushdoony: 00:00 Are parents being abused? This is R.J. Rushdoony with a report on our threatened freedom. R.J. Rushdoony: 00:08 We hear a great deal these days about child abuse, much too little, however, or nothing at all, about parental abuse. Make no mistake about it, parents are abused. R.J. Rushdoony: 01:00 Some educators, not all, got into the act. Their excuse for failure was the family, the parents. Is Johnny doing badly or is he a problem at school? Don’t blame Johnny, blame his parents. They are doing too much or too little and, whichever it is, they are all wrong. R.J. Rushdoony: 01:20 Sociologists, child welfare workers, and the courts, got into the act. One idiot judge once remarked that there was no such thing as a bad child, only bad families. In other words, no one is a sinner, and all children are dear angelic innocents until they grow up and become parents. Then, suddenly, they are the root of all evil. R.J. Rushdoony: 01:45 Parents are so abused today that we can be grateful that a strong, natural urge impels people to marry and to have children. Otherwise, with all the abuse parents get, it would be an unpopular calling. R.J. Rushdoony: 02:01 On top of that, our courts are beginning to side with children in some very ugly situations. If you strike your child with just cause to chastise him, you can be in serious trouble if he files a complaint against you. Some school counselors urge such children to file a complaint. However, if your child defies you and strikes you savagely, a welfare worker, counselor or court, may well side with the child. 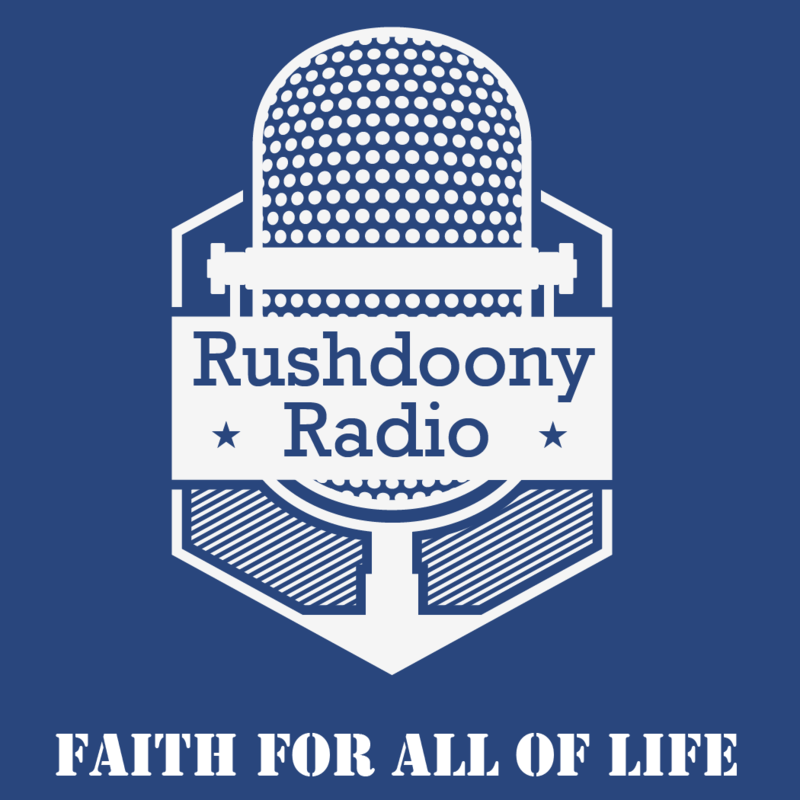 R.J. Rushdoony: 02:30 Parents are being abused on all sides and their love and work is underrated. No one but a father or a mother has the patience of love, which rearing a child requires. There can be no healthier environment for any child than the family and parental love and patience. Again and again, when God and the Bible wants to tell His people how great His love and patience with them is, He compares Himself to a husband or to a father and a mother. R.J. Rushdoony: 03:02 God’s images of His love are drawn from family life. All this abuse of parents is a very deadly evil. It is destroying the very foundations of life, and it is creating social conflict and disorientation to an unequaled degree. R.J. Rushdoony: 03:22 When the Ten Commandments call for honoring our father and mother, the promise for obedience is a long and good life for individuals and nations. In other words, parental abuse is a ticket to a short life for men and nations or a civilization. R.J. Rushdoony: 03:39 But what are we doing? In at least two states, there are legal efforts underway in the courts to remove the Ten Commandments from public buildings, court rooms, and classrooms. R.J. Rushdoony: 03:51 This is R.J. Rushdoony with a report on our threatened freedoms.